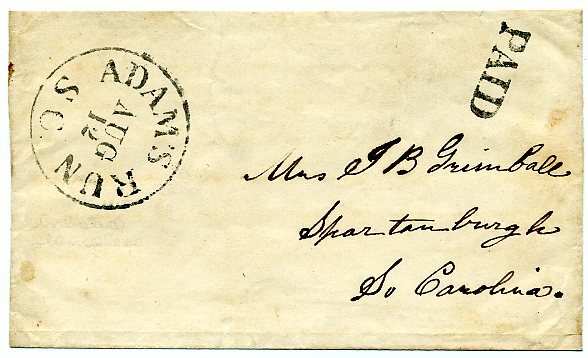 ADAMS RUN / S.C . // AUG / 12 PAID (no rate) to "Mrs. J.B. Grimball, Spartanburg, So. Carolina", slightly reduced at top with top back flap missing, Very Fine, Ex Zimmerman. 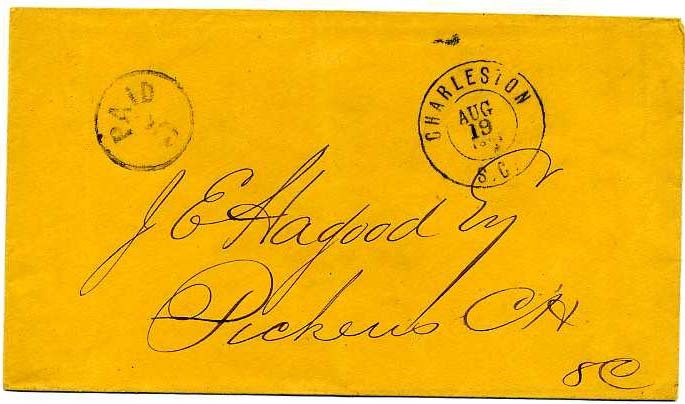 CHERAW / S.C . // JUL / 5  handstamped paid on cover to "W.F.B.Haynesworth, Esq, Sumter, SC" with docketing "About J. D. Foxworth's protected draft", fresh lemon cover, no top back flap otherwise Very Fine, Ex Emerson and Cole. 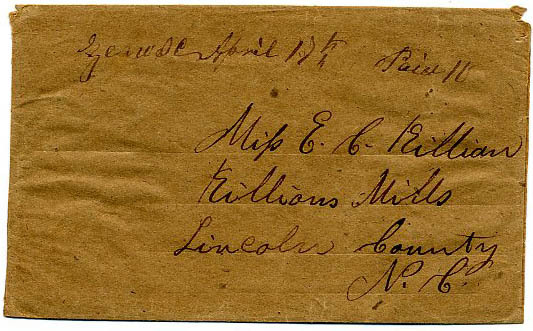 "Zeno, SC July 12th  Paid 5" all in manuscript on cover to Williams Mills, NC, slightly reduced at right, Scarce and attractive. Rarity 8 on the SC towns scale. GREENVILLE C.H. 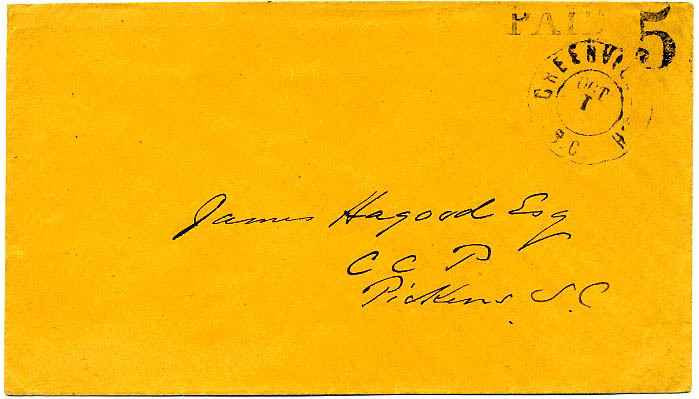 / S.C., Oct 1 , double circle postmark with inverted date and handstamped "Paid 5", type IA, on immaculate cover to "James Hagood, Esq., CCP, Pickens, S.C.", Very Fine, Ex Wm. A. Fox. 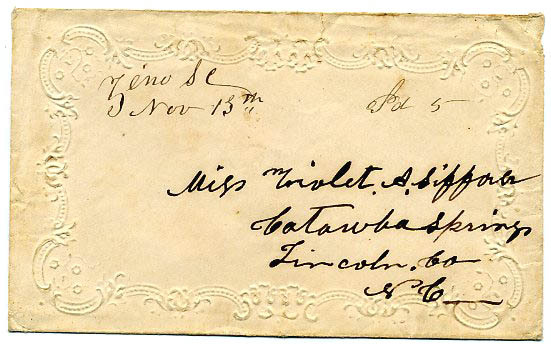 Zeno, S.C., Nov 15th (1861), manuscript postmark with matching "Pd 5" rate on small embossed ladies cover to Miss Violet A. Sifford, Catawba Springs, small edge tear at top, Very Fine, town is Rarity 8, Ex Wm. A. Fox. 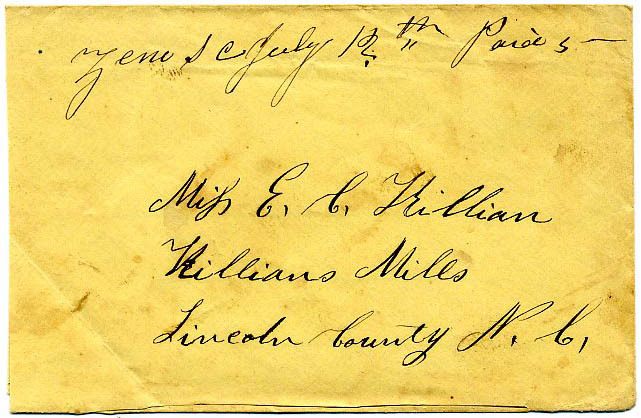 Zeno, S.C., April 17th, manuscript postmark with matching "Paid 10" rate on small buff homemade cover to Killians Mills, N.C., Very Fine, town is Rarity 8. BEAUFORT / S .C. hand stamped PAID 5 on small embossed ladies cover to Sparta, Geo. ; top and side flaps partly missing otherwise Fine lovely cover. 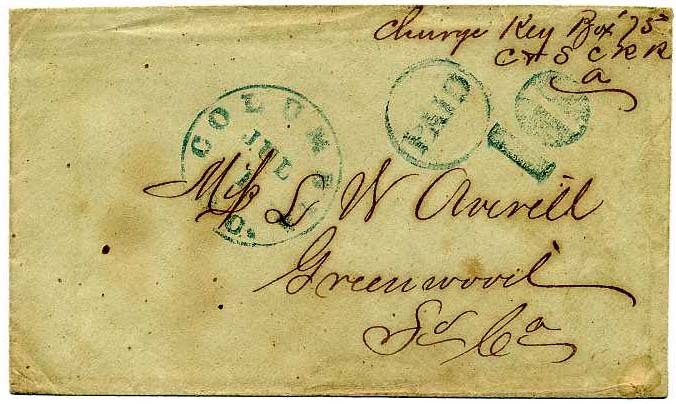 COLUMBIA / S.C. handstamped PAID 10 bold neat strikes in blue on pale green homemade cover to Greenwood, So. Ca., ms “Charge Key Box 75 CW S.C. R.R. 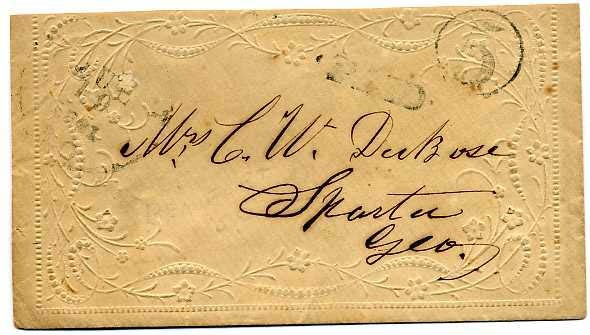 A”, signed Dietz on back with part of top back flap missing. 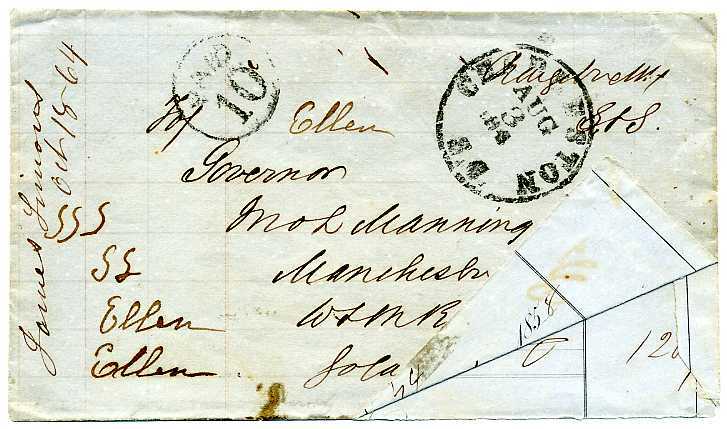 CHARLESTON / S.C. // AUG / 3 / 186 cds and PAID 10 handstamped paid on pale blue adversity cover fashioned from checkbook sheet and addressed to “Governor Jno L Manning, Manchester PO, W & M RR, So Carolina” with post-use but contemporary doodling, Very Fine, a more detailed bio of Manning is included. JOHN LAURENCE MANNING attended Princeton University and was a planter by trade. He served in the South Carolina House of Representatives from 1842 to 1846 and in the South Carolina Senate from 1846 until 1852, when he was elected governor. He was a member of the South Carolina Secession Convention and a signer of the Ordinance of Secession. He served in the South Carolina Senate from 1861 to 1865 and in the South Carolina House of Representatives from 1865 to 1867. Although elected to the U.S. Senate in 1865, he was denied the seat along with other southern Senators. 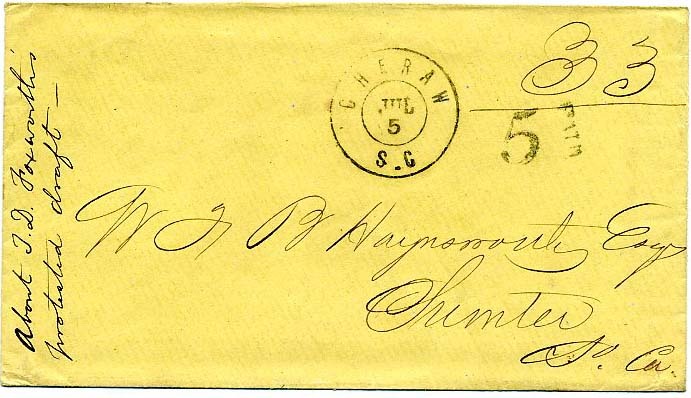 CHARLESTON / S.C. // AUG / 19 / 1861 double circle cancel with handstamped PAID 5 in circle, type III, addressed to “J. E. Hagood, Esq, Pickens C.H., S.C.” Bio of Col. James Earle Hagood accompanies. Fresh, Very Fine. 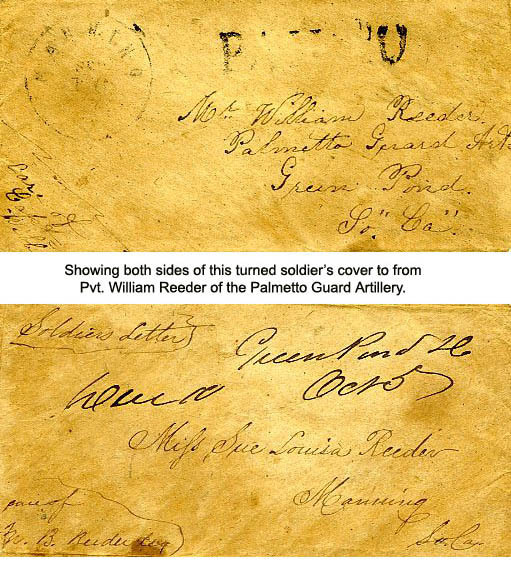 Green Pond, SC manuscript cancel with matching “Due 10” on small homemade soldier’s cover addressed to "Miss Sue Louisa Reeder, Manning, So. Ca." 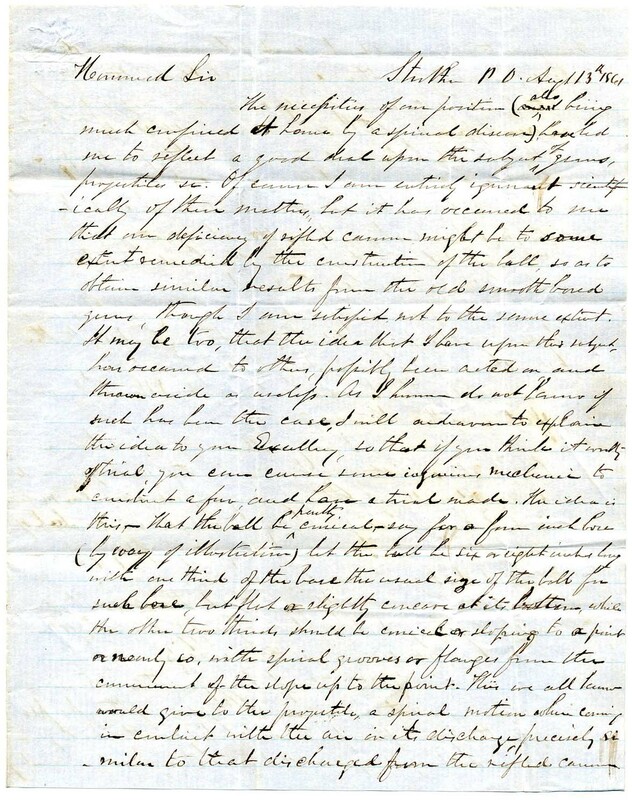 and “Care W. B. Reeder, Esq.” at lower left with “Soldier’s Letter” endorsement but no name/rank contrary to mandate to do so. 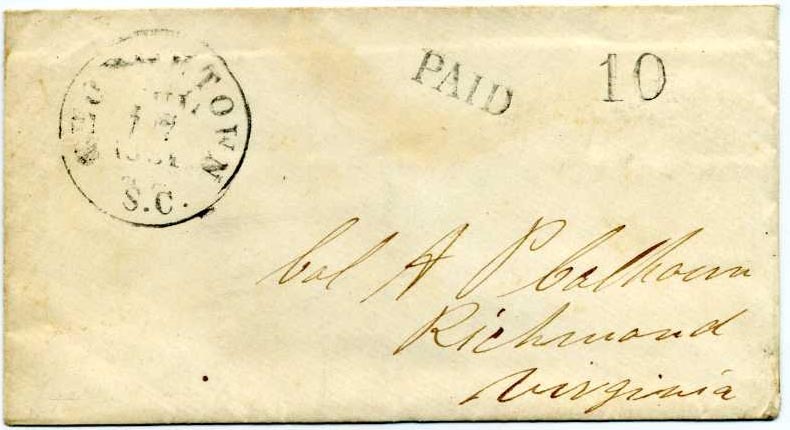 Luckily, it is a turned use with a MANNING / SC / SEP / 16 (1862) cds and handstamped PAID10, type I (this alone cats $140 in out of date 1986 New Dietz) addressed to "Mr. William Reeder, Palmetto Guard Artillery, Green Pond, So Ca". The sender endorsed "Care of Capt. Webb”. 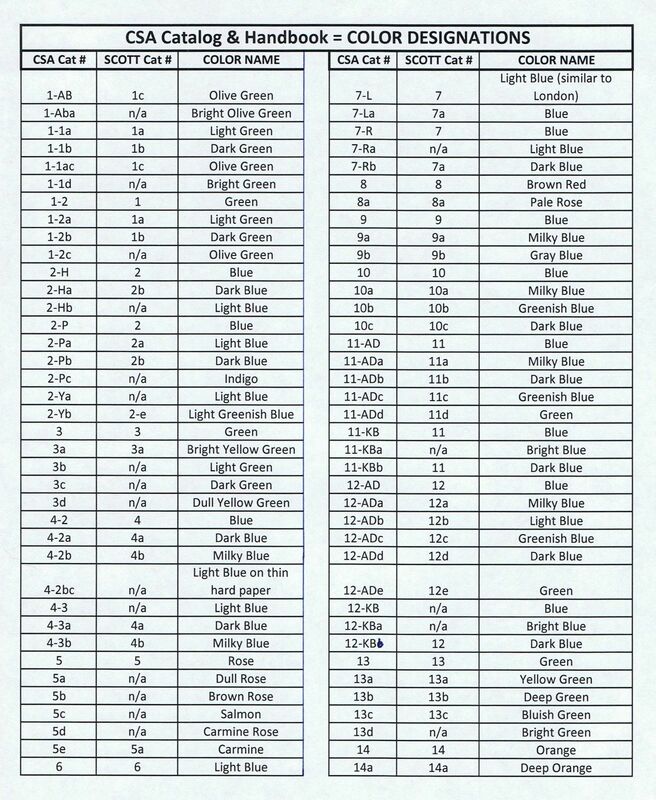 William Reeder is listed as having served in "A" Co. Wonderful soldier’s turned adversity use with full flaps intact. Ex Sam Zimmerman. $400. 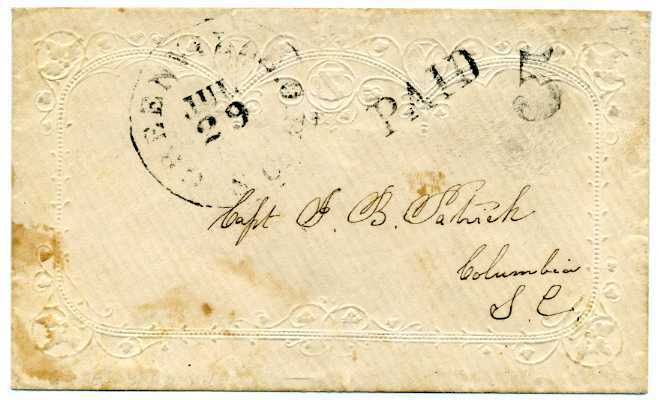 GEORGETOWN / S.C. // JUL / 17 / 1861 cds with matching handstamped PAID 10 to Col. A. P. Calhoun, Richmond, Virginia. A[ndrew].P. Calhoun (1812-1865) was the son of the famous pro-slavery Southern statesman John C. Calhoun, whose portrait appears on the Confederate 1¢ Orange #14 stamp. $200. GREENVILLE C.H. / S.C. // JUL / 20  cds with matching handstamped PAID 5 on darling embossed ladies cover to Capt J. B. Patrick, Columbia, S.C.; I can’t be sure which J.B. Patrick this is, but most likely a cadet in the Citadel. A charmer. $220.